WanderingScapes is an audiovisual performance about journeys on nature. It is wandering on different -scapes such as landscape, cityscape, townscape, roofscape; riverscape, seascape, waterscape, snowscape… It is going into field trips as nature immersions and bringing back a miscellaneous of videos and sounds. This audiovisual performance is the outcome of the lived experience in different environments. It is glitched, rusted, noised as the experience cannot be (re)lived. It is just performed with simple body movements, instruments and objects created by us. 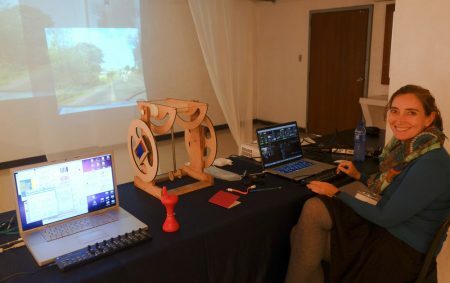 In this project there is an interest in exploring stimuli and responses beyond the purely visual reference of the interactor, that is, besides using just a camera as a sensor and to explore and create a kind of synesthetic language. Among the techniques and tools used for the creation of these work we have motion capture, machine learning, synthesis and digital processing of sound and image, in connection with various types of sensors or interfaces scattered in the space. These configurations allow different levels of automation in the operation of the technological components of the work, and to detail the quantity and quality of the information captured. 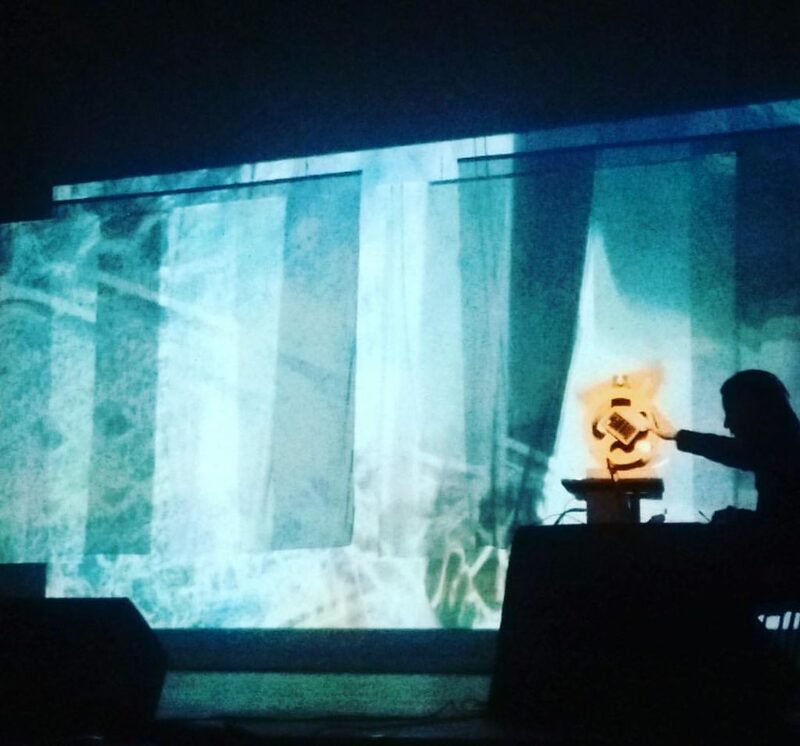 Through gestural interfaces and devices such as wiimotes, leapsensor, webcam and midi controllers, we can directly manipulate the audiovisual material and share the control of the performance between the computers and the performers. Also, with the use of programming tools such as Pure Data, Processing, Wekinator, Osculator, and the OSC protocol, it is possible to connect these devices to get data from the body and its movements in order to create mappings to audiovisual parameters. Rotation, roll, lift, move forward or backwards are some of the actions used for creating the audiovisual results during the performance. In WanderingScapes we plan to mix the movements of the body on going into immersion in nature with the movements of the actual audiovisual performance. The videos and sounds collected during immersive filed trips walking, cycling and sailing in different landscapes – deserted beaches, open ocean, forests, parks – bring us back to natures. In this AV Performance, we use simple movements of the arms and upper body as an allusion to the movements of the body, which took us to the contact with nature. It forms a simple dance of the arms on air, using sensors and mixing images and sounds to recreate a revised version of the nature experience. — 2017 WanderingScapes 16º Festival Internacional de la Imagen/ISEA 2017 – Teatro Los Fundadores. Manizales, Colômbia.